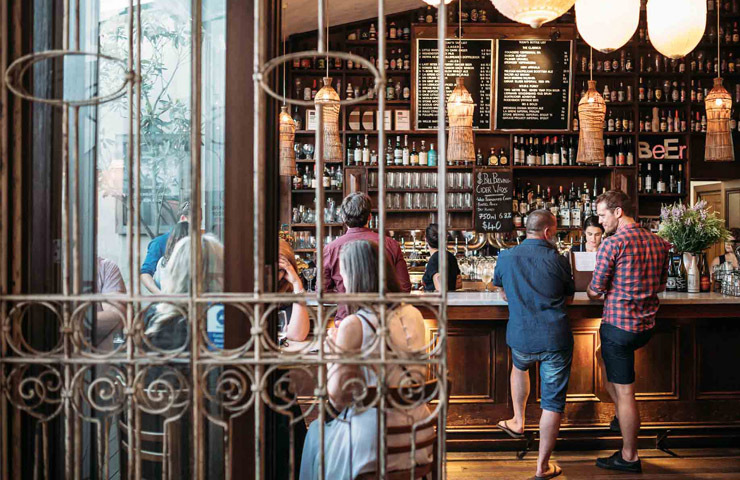 Craft beer is the new frosé and is slowly taking over the taps of Melbourne, as are microbreweries which are beginning to pop up like daisies across all of the thriving suburbs of the city. I mean, let’s be honest, what better way to drink a cold frothy then right next to the fermentation tanks and vats where it was created? 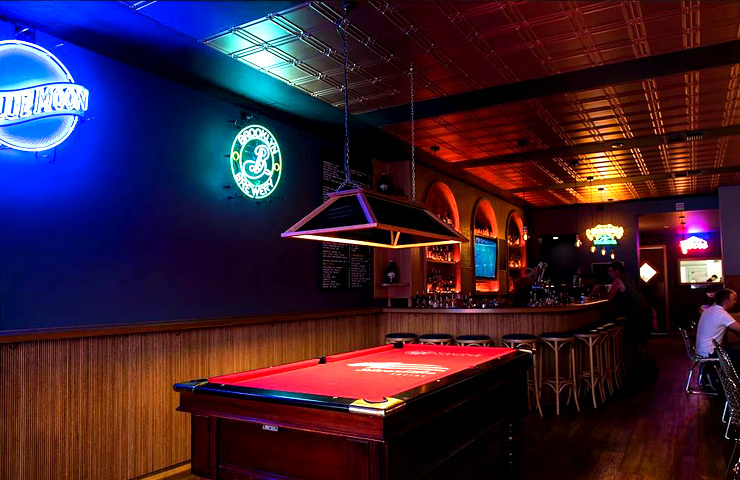 Whether you are looking for somewhere different for your next Sunday session, or want to impress your out of state friends, we have you sorted with some pretty cool places that you simply must check out. 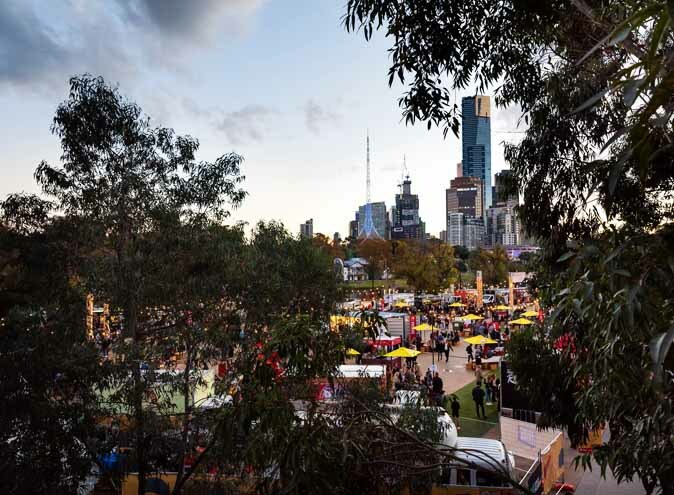 Grab your pals, get your beer jacket on and get ready to embrace all the flavours and aromas of Melbourne’s best breweries that we have compiled for your drinking pleasure! 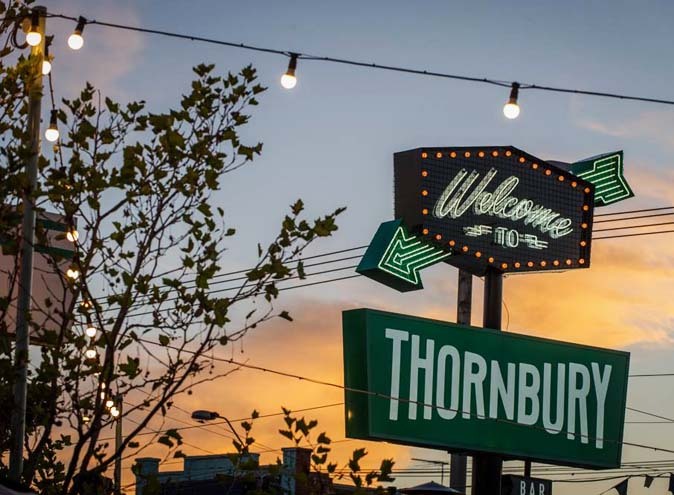 Thunder Road Brewhouse is located in the heart of our favourite Northside suburb, Brunswick. If you want to keep it local, indulge in some true beer of the North, their very own Brunswick Bitter. They also have a myriad of other froths available which are inspired by the philosophy “beers without borders”. Thunder Road Brewery pride themselves in bringing unique and new flavours to the table by utilizing new complex brewing methods. Although the use of Australian hops is popular throughout their range of beers, Thunder Road bring more to the table by creating craft beers with a difference – you won’t find your typical crafty here but you will experience the flavours of the world that have been created on your door step. The large, sunny courtyard out front is home to a vintage airstream caravan where talented chefs dish out mouth-watering food that has been matched to your beer. 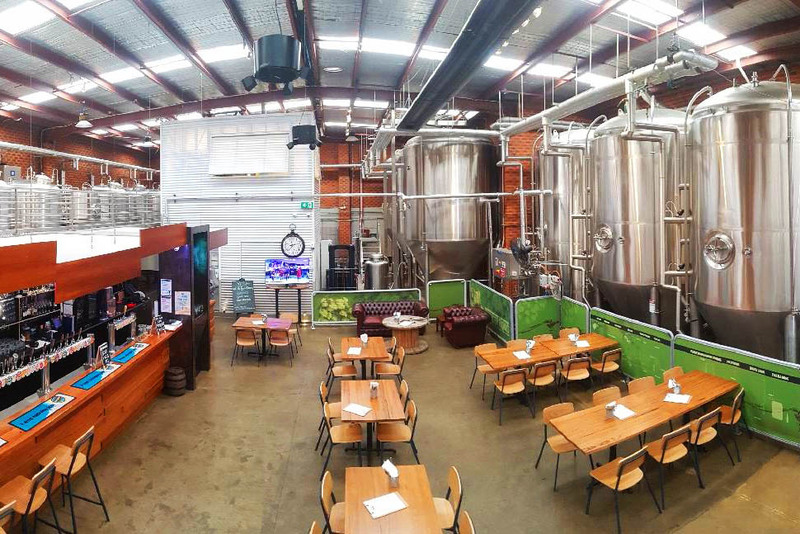 Thunder Road Brewhouse is only open to the public Friday nights from 4pm and Saturday and Sundays from 12pm, so cancel your plans this weekend and take a trip down to this unique space for a refreshing start to summer. Stomping Ground really lives up to its name because you’ll never need to go anywhere else. The venue boasts views of the brewery itself from every seat as well as a ridiculous-ly awesome selection of 30 different tap beers to choose from, meaning you’ll never be left thirsty. Mix this with sensational food, a beer garden with a retractable roof and a wooden cubby house for the littlies and you have a brewery that is so good you’ll never ever want to leave. 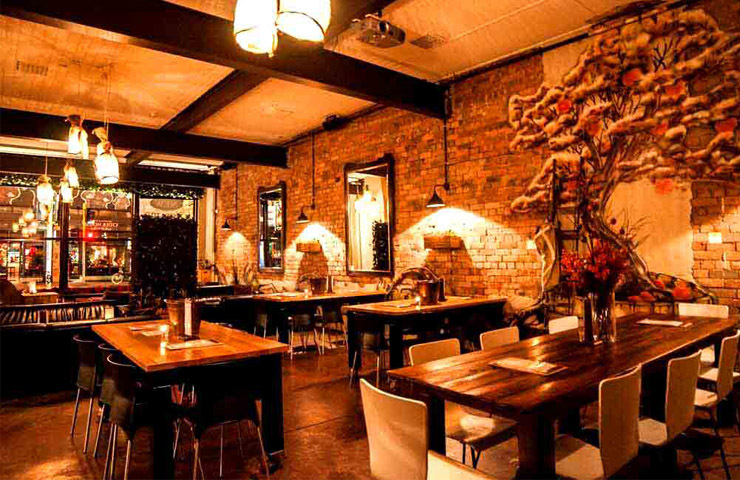 This fantastic creation is situated in Collingwood, and is open 7 days a week from 11:30 til late. Whether you’re a local or travelling from afar, one visit to Stomping Ground and you’ll call it home. Another fun and crafty delight in Northside (starting to see a trend here), Moon Dog was founded by 3 friends in 2011 who all had a deep passion and love for tasty beer – so they did something spectacular, and created this sensational product. Shortly after, Moon Dog Brewery Bar opened and it reflects everything that their beer is about; fun, aromatic, tasty and unique. Moon Dog is situated in an old warehouse space that has been filled with an abundance of character. It’s the ideal place to sit back, relax and enjoy the flavours taking over your taste buds. Moon Dog Brewery bar offers 10 home beers on tap to choose from, along with an occasional fruity cocktail thrown in if you’re all brewed out. Lastly, I hear the pizzas served out of the food truck are not too bad either, but don’t take my word for it, go see for yourself. Moving over Southside, although not a brewery per se, The Local Taphouse in St Kilda has just as much to offer with a huge selection of 40 taps to choose from, all rotating on a regular basis. Welcoming hundreds of beers through their doors from across the world each year, you’re guaranteed to find something different every time you visit. The Local offers a range of entertainment throughout the week, including Local Laughs every Monday, Melbourne’s longest running comedy night, Trivia Sundays and live music across the venue on Fridays and Saturdays. You don’t have to be a local to become a local at the local – because once you’ve visited the local, you will be a local! Staying south, Silverlake Social is another hidden treasure offering some of the best crafty beers from the USA. Sorry, once again not techincally a brewery, we just couldn’t leave this one without a mention. Silverlake Social is a replica of stepping in to a southern Californian taphouse that’s situated in the heart of Prahran. The bar prides itself on fantastic tap beers from across the USA, including the iconic Sierra Nevada and the newly welcomed in Australia, Goose Island. Alongside the frothy collection, you will find an eccentric mix of American style cocktails made with some of the best American spirits. And yes, you guessed it – the menu is all American themed, hosting a mouth-watering selection including burgers, hot dogs, chicken wings and ribs. To top it off, there are daily happy hour specials to save the bank account, including a “Tappy Tuesday”, where all pots are $6 all night! *A recommendation from us, be sure to try ‘Tommys Margherita’, accompanied by the Golden state burger – you will not regret it. 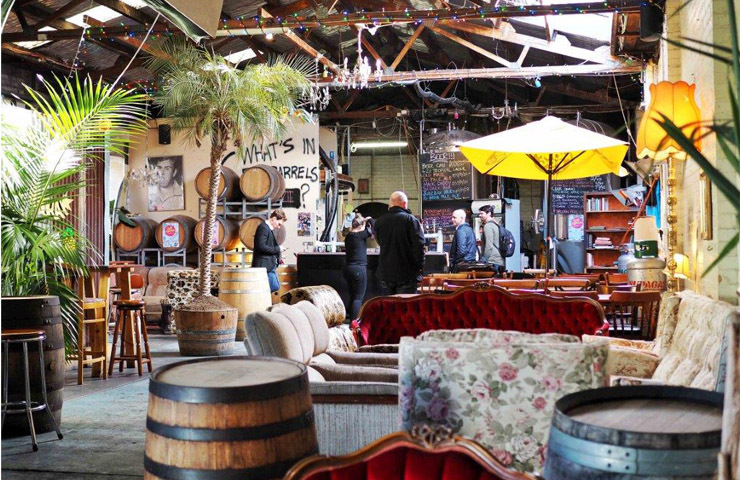 Heading back Northside, there is a hidden treasure for the cider enthusiasts out there. Brunswick St Cider House is what happena when a German beer drinking hall meets a winery cellar door. Cider House showcases a whopping 15 different cider taps, including 3 ciders poured from a traditional English pump. Alongside this collection, the fridges hold over 40 different local and international ciders for your consumption. If cider isn’t your thing (you probably stumbled across the wrong venue), don’t stress, Cider House also offers a range of local wines to complement their diverse menu, as well as various signature and classic cocktails to really treat yourself with. 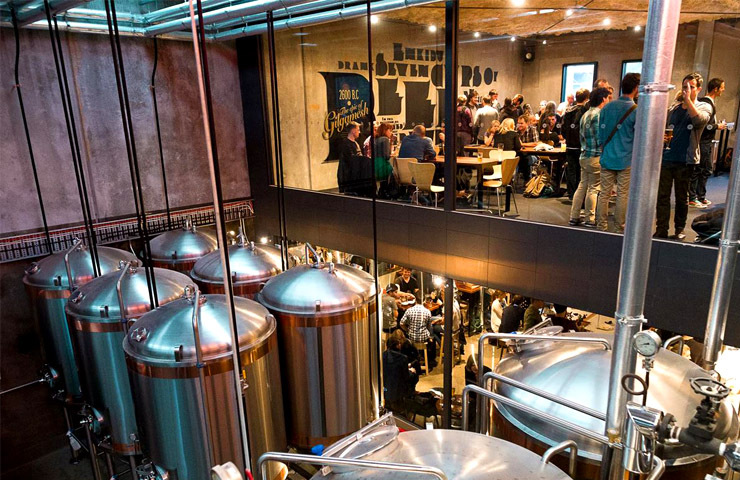 Tallboy & Moose is one of the latest editions to the brewery community in Melbourne. 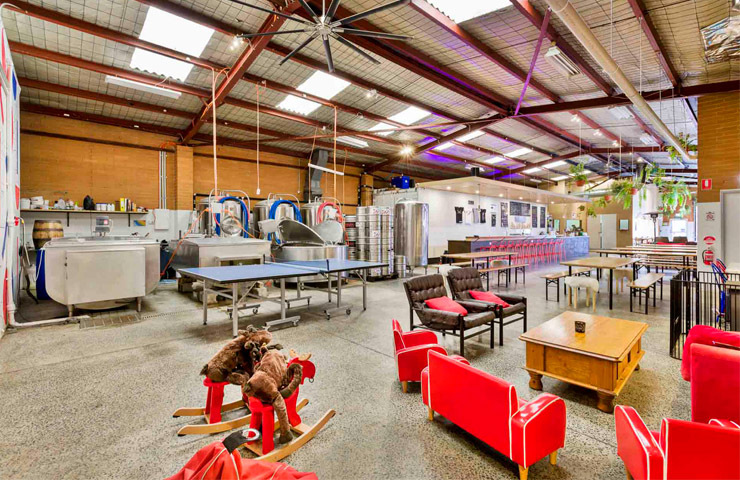 Situated in a warehouse in Preston, when you step foot into this delightful space you will find yourself surrounded by tasty Tallboy & Moose tap beers, local guest beers and a hand-picked selection local wines. Tallboy & Moose is the brainchild of Dan (who’s really tall) and Steve (who’s really Canadian) – two beer-crazy mates who have been brewing, selling and drinking craft beer in and around Melbourne for an impressive number of years. 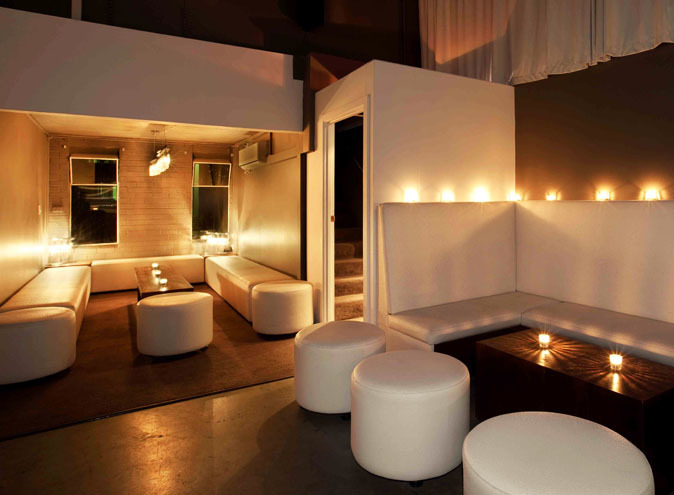 Whether you are hoping to hold a gathering for all your friends, or wanting a quiet drink with a select few – this is the perfect location with heaps of space available to accommodate for all. Best yet, your furry four legged friend is also welcome to join in on your fun as dogs are allowed in the beer garden. Whilst you’re here, make sure you check out the newly opened Wee Man’s kitchen! 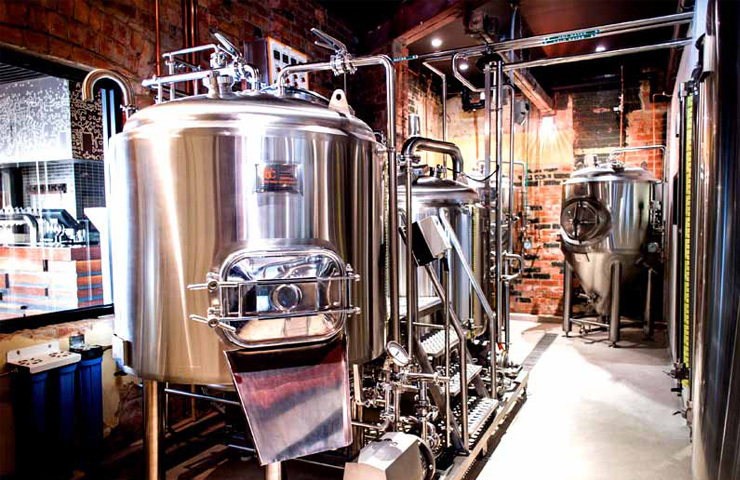 With a whole century of experience under their belt, Clifton Hill Brewpub has a lot to offer. Located a stone’s throw from the CBD, this is the perfect destination to ease into the evening after a hard day at the office. The micro-brewery offers freshly brewed beer, and the wide selection on tap offers something for everyone. If for some reason, the tap beer doesn’t cut it for you, there are over 100 bottles of specially selected bottled beers to spoil you for choice. Another Northside treasure (sorry Southsiders, but the north definitely trump the south with their brewery collection), the Temple Brewing Company is a huge two storey building located in Brunswick East offering brewed craft beers alongside a “refined comfort” food menu to really fill you up on a summers day. Temple Brewing Company offers a private event space if you are planning the party of the year, as well as an exceptional restaurant space looking over the vats if you’re after dining experience with a difference. 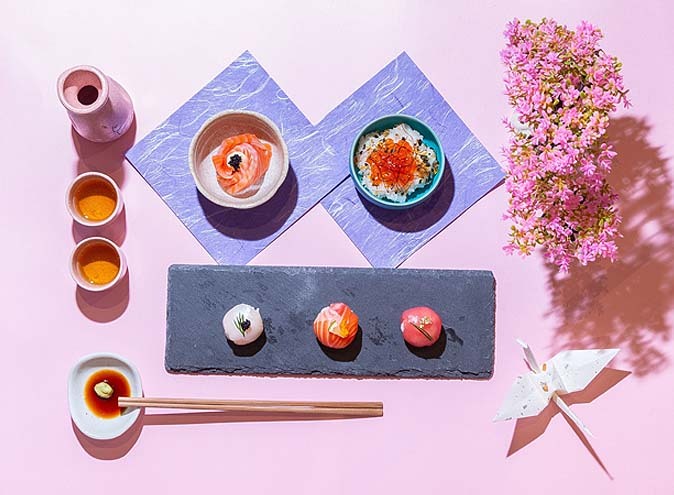 “Great beer needs great food” is the principle the Temple follow, and the staff across the bar and restaurant pride themselves on this motto, offering exceptional attention to detail to everything they do. 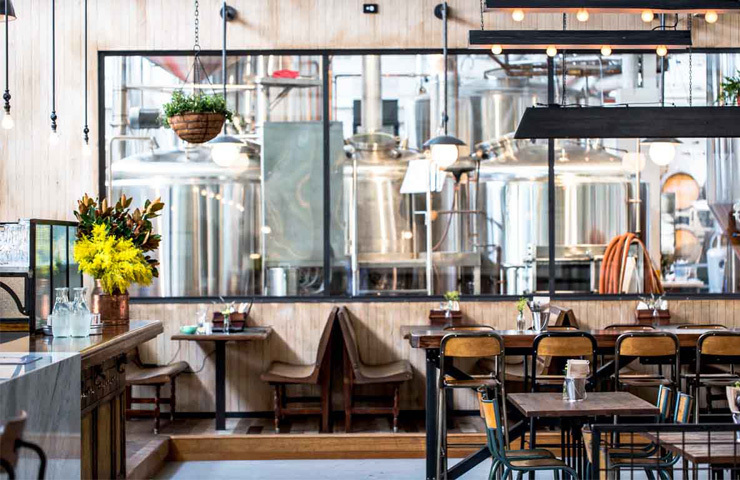 Last but definitely not least, we have for you the iconic Carlton Brewhouse located on the banks of the Yarra, in Abbotsford. 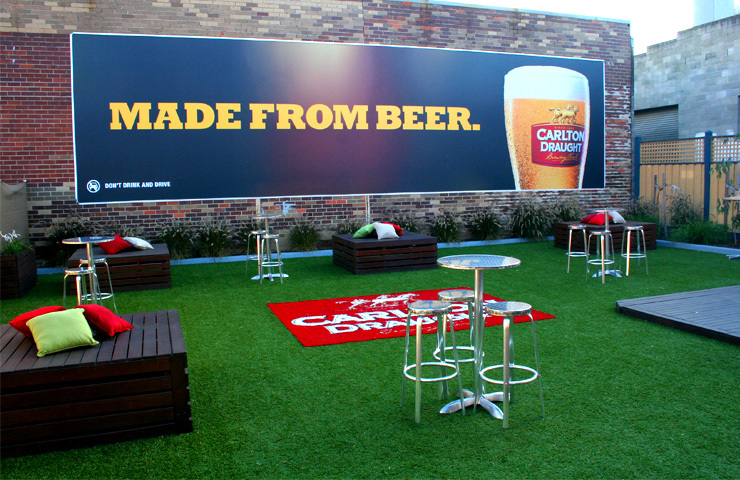 Carlton & United Breweries offer you 150 years of knowledge and experience in every mouthful and the Brewhouse is the perfect place to take the family, friends or visitors for a fun-filled day of knowledge, good food and lots of frothies. Carlton Brewhouse also offer a range of packages throughout the silly season months, so if you feel like treating your employees and clients this Christmas, what better way to do it than filling them up with a bit of education, good food and of course, just a few glasses of golden ale. So there we have it, the ultimate list of breweries to keep your thirst at bay throughout the summer months. We hope you enjoy them as much as we do!